Keeping up with bank card transactions can be difficult. It doesn’t matter whether you’re a wholesale company or small retail firm, balancing the books at the end of the day can be confusing, especially without integrated bank card authorization software. That’s why one of the leading Equestrian Hardware manufacturers sought out Oneir Solutions to put an end to their bookkeeping woes. 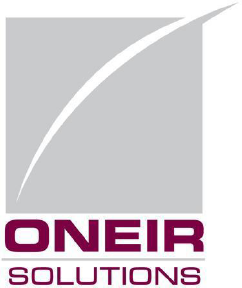 Oneir Solutions is a fully-integrated software that has made payment processing much easier. Not only can it handle every type of sale they make, they only need to input customer information once, then all repeat transactions are taken care of. Key Performance Indicators (KPIs) evolve from a well thought out Business Plan. The business plan should identify the key tasks which need to be effectively implemented to provide an opportunity to be successful. These Key Success Factors then need to be translated into the performance indicators that in turn need to be associated with all areas of the business using global ERP solutions so that the company is consistently operating in lockstep towards the same goals. The key performance indicators need to be able to digest raw sets of values, which can be fed to global ERP solutions and similar systems that aggregate the data and product the indicators. There are two major types of KPI categories. The Quantitative which presents a specific value with targeted goals. These can be set up on an ERP software solution, such as the Oneir Solutions ERP Software, so that progress can be monitored against the KPI targets. To write off AR accounts simply post a credit adjustment or debit adjustments against the invoices or credit notes being written off. You will have to post to a GL account for the write off amounts. Most of the time, the GL account would be the same account used to write-off bad debts, even when writing off a credit balance. However, if you are unsure, you may wish to consult your accountant. Alternatively keep a record of the entries made and the account they were posted to so if they wish it to be accounted for in another account, it can easily be moved with a general journal entry.